Christmas is coming, it's time to start pulling out decorations and getting our homes ready for the up and coming holiday season. 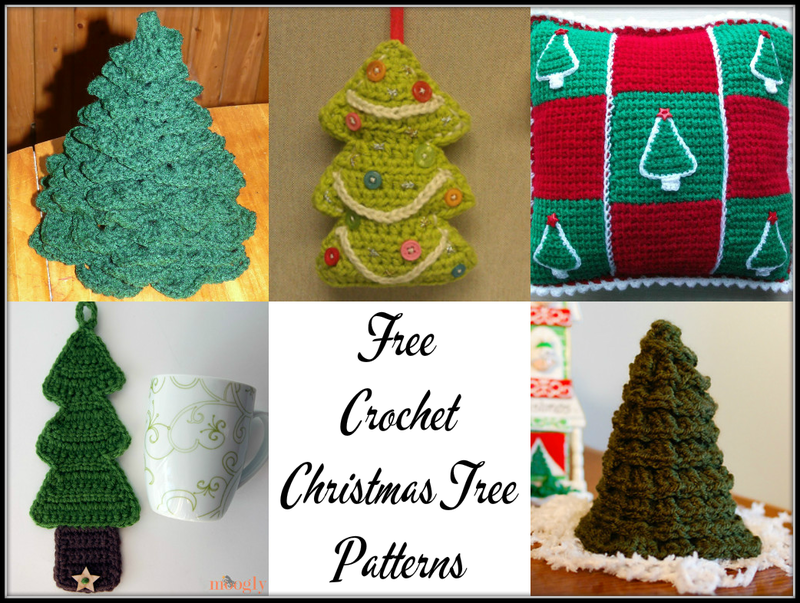 In honor of Friday, which is when I will be pulling out my Christmas tree, I have worked to compile this list of free crochet Christmas tree patterns. 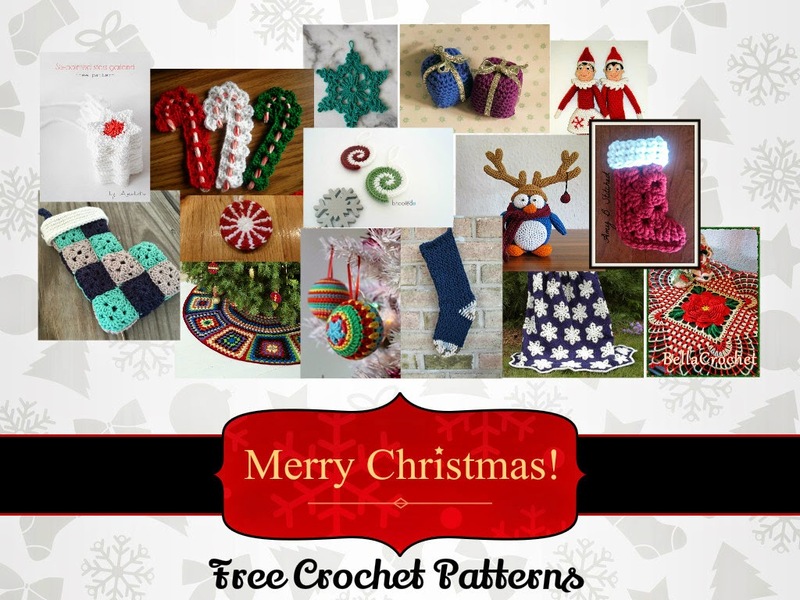 These crochet patterns are sure to help you get your home holiday ready. I did not write these patterns, I just find them on the internet and present them here for you in one nice and neat place. 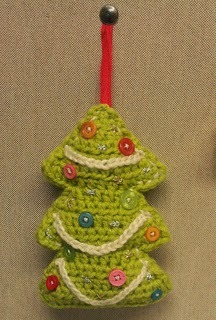 This crochet Christmas tree looks just like the real thing. Add some decorations and garland and this piece would make a great table centerpiece. The website listed is dedicated to the creation of this perfect Christmas tree. Decorate your Christmas tree with little miniature Christmas trees with this really cute ornament pattern. The buttons on these Christmas trees add that primitive touch. Beads could also be substituted if you don't have any buttons around the house to spare. Make these little trees in a bunch of different colors to add a splash of fun to your holiday tree. 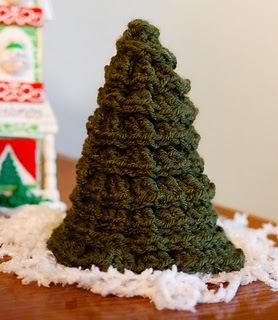 This little tree would look great around your home during the holidays and it looks as though it would be a really quick project to crochet. 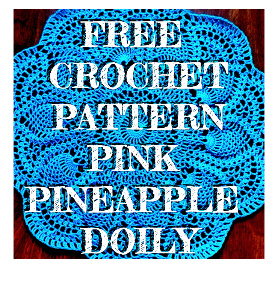 The pattern is from Petals to Picots and is available free on their website. The texture is completed with a series of combination back post treble crochet stitches. This cushion is perfect for getting cozy with your favorite holiday movie. 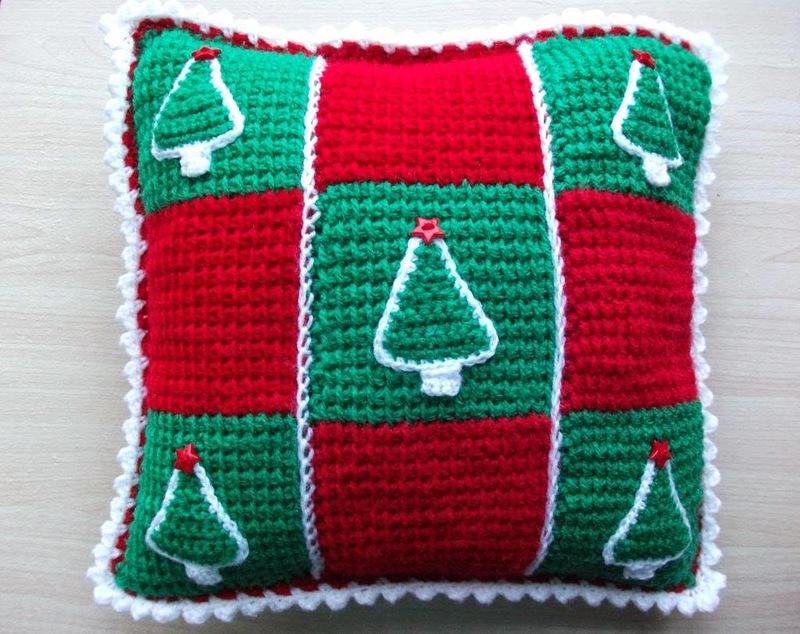 The squares are created with Tunisian crochet and the little Christmas trees on the front of the pillow are cute appliques that really finish of the pillow. This idea could be used for other holidays too, just switch out the colors and the applique you choose. The last item I am featuring in this list is a ridiculously adorable decoration for your coffee cup. 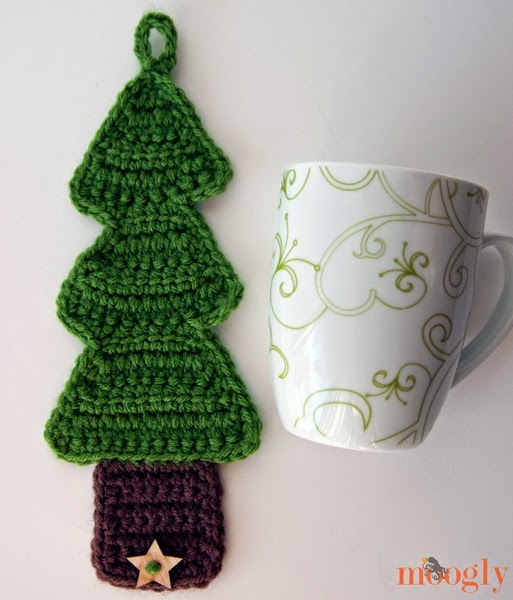 This free crochet pattern is from Moogly (one of THE BEST crochet blogs of all time) and it is for a really easy to create Christmas Tree Coffee Cozy. The star button they use for the closure of the crocheted cozy finishes of the project perfect. Sometimes the simplest designs are best.